Admittedly I am not much of a fast food eater. I’ll crave the occasional In-N-Out Protein Style Cheeseburger with extra pickles, no onion and hold the fries and maybe a grilled fish taco here and there, but that’s pretty much it. 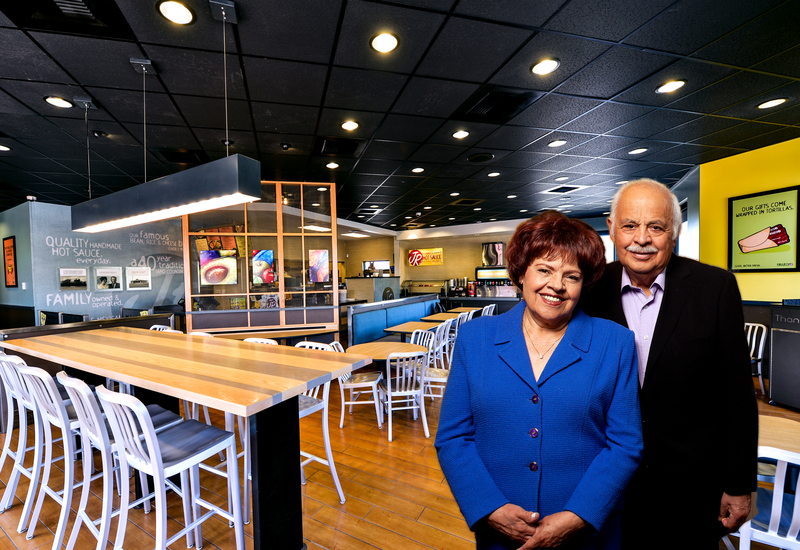 So when asked to attend a tasting event at Miguel’s Jr. a quick-serve small chain with roots in the highly regarded and popular Inland Empire restaurant, Miguel’s, founded by Mary Vasquez with her husband Mike in 1975, I was conflicted. While it’s no secret I love to eat, I’m somewhat discriminating on where and how I invest my calorie and even more so carb intake. So when I drove into the parking lot, one of the first things I noticed was a drive-through window. 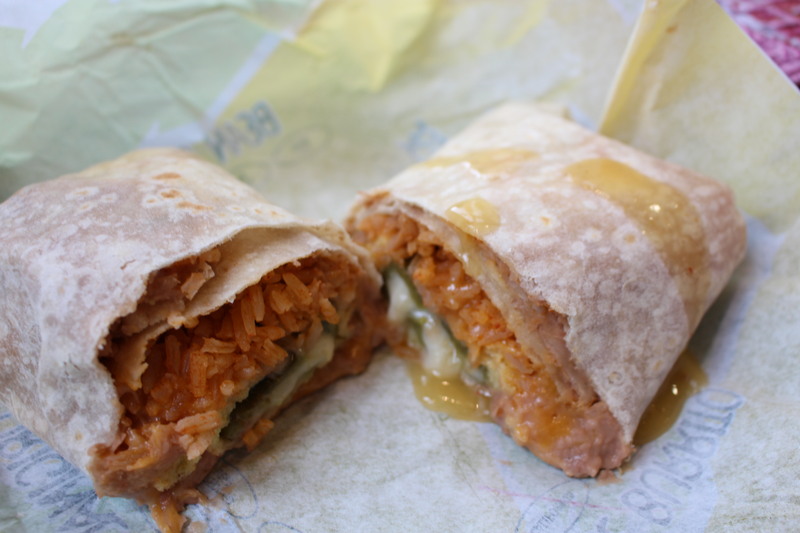 “Bummer.” I thought, “This is fast food. What have I signed on for here?”. 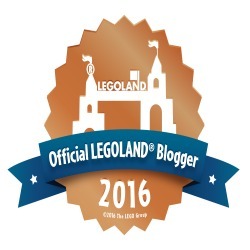 I forged ahead. 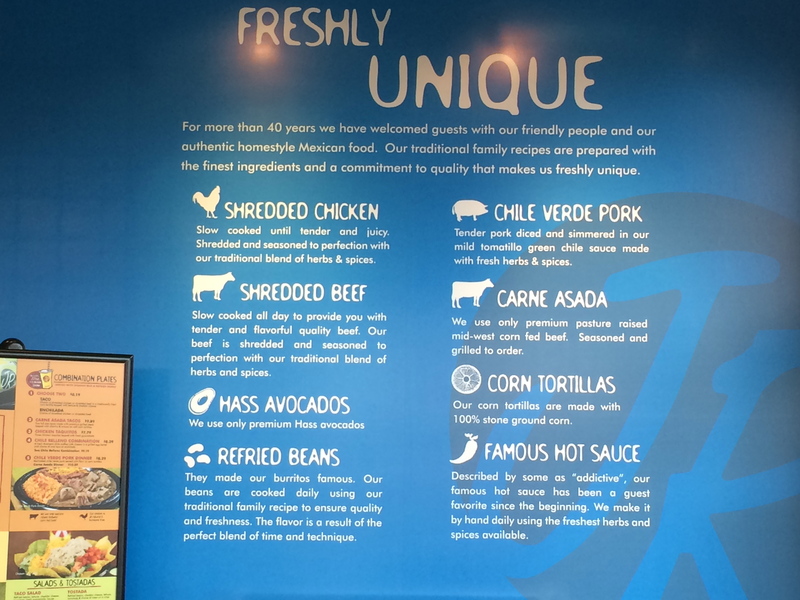 A wall mural highlighting their core “freshly unique” ingredients – more on that in a bit; art and graphics that tell you the Miguel’s Jr. story. 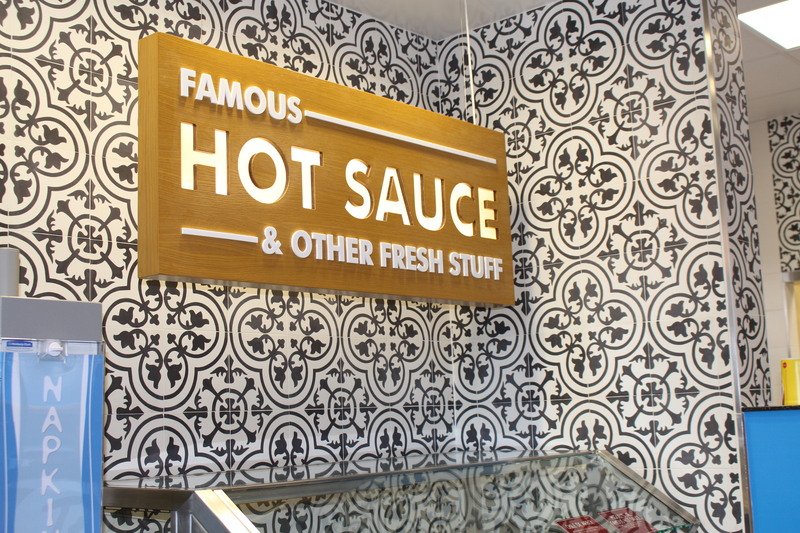 Black and white graphic wallpaper over their famous hot sauce bar. 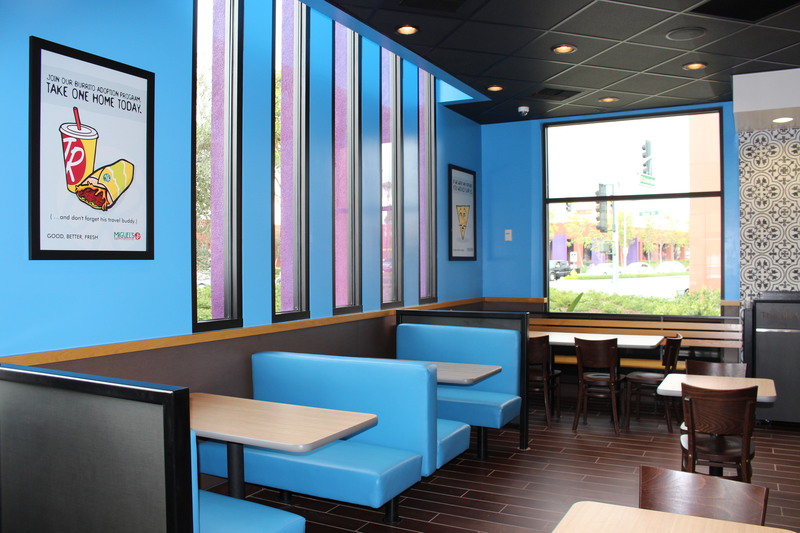 And lots of blue with a few purple window accents. 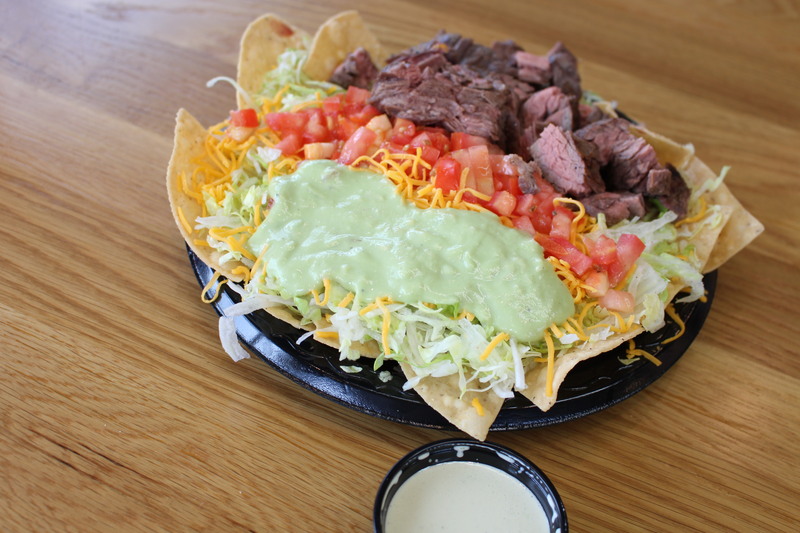 I like these colors and rarely see them in restaurants. Turns out the color combo was a favorite of patriarch Mike Vasquez, though that’s not why they were selected, so that was just serendipity. After soaking in our dining surroundings we went on a tour of the kitchen where we saw enormous pots of their slow-cooked beans and rice cooking. They make these fresh each day. First hand I can tell you there are no microwave ovens and no freezers here. Refrigerators… yes. Freezers… no. And the cheeses that go into their dishes are hand grated each day. 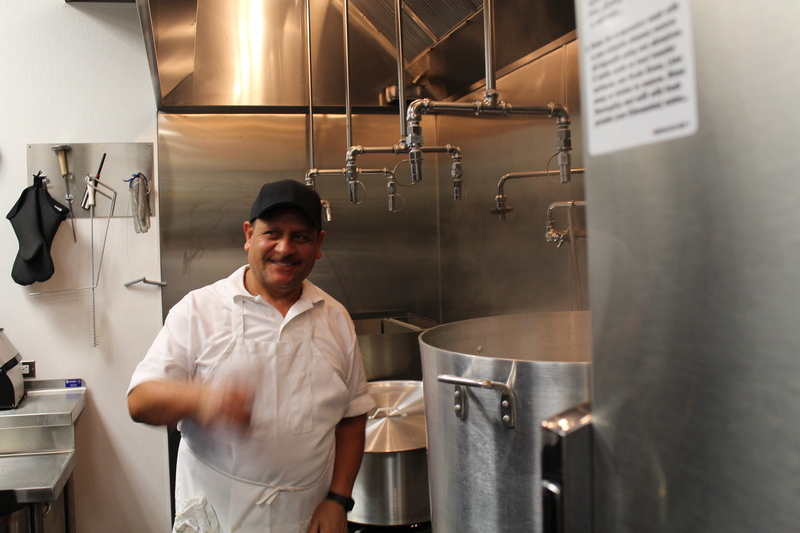 A tour of the kitchen reveals this… Miguel’s is committed to delivering fresh, “home-cooked”, traditional Mexican dishes straight from Mary Vasquez’s recipe stash from her childhood in Celaya, Guanajuato in Central Mexico. 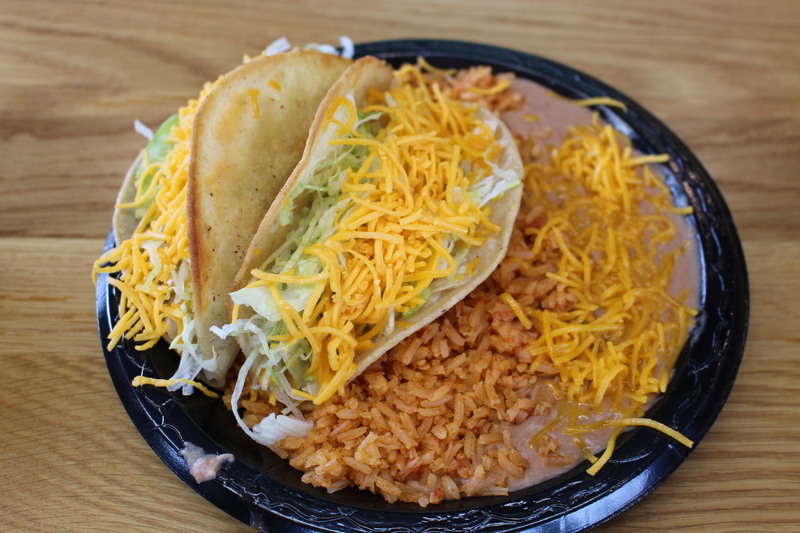 Their dishes come with options that include their slow-cooked shredded chicken, slow-cooked shredded beef, chile verde pork, and grilled to order carne asada. 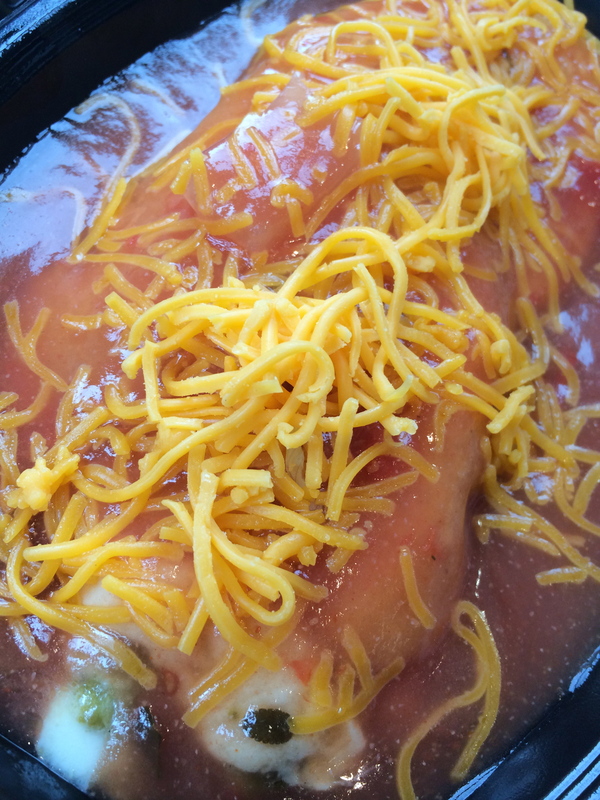 This fresh Anaheim chile stuffed with cheese and coated with a grilled egg batter is served with refried beans, Spanish rice and cheddar cheese. 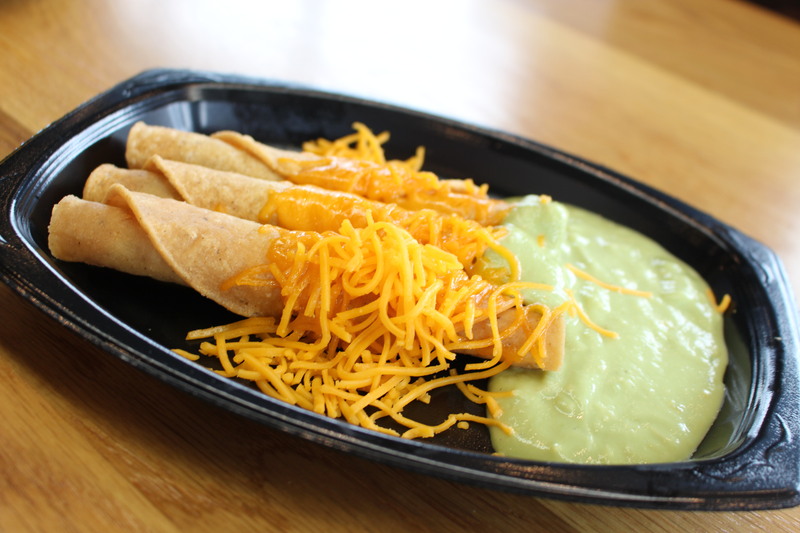 I topped mine with some of their delicious green sauce. 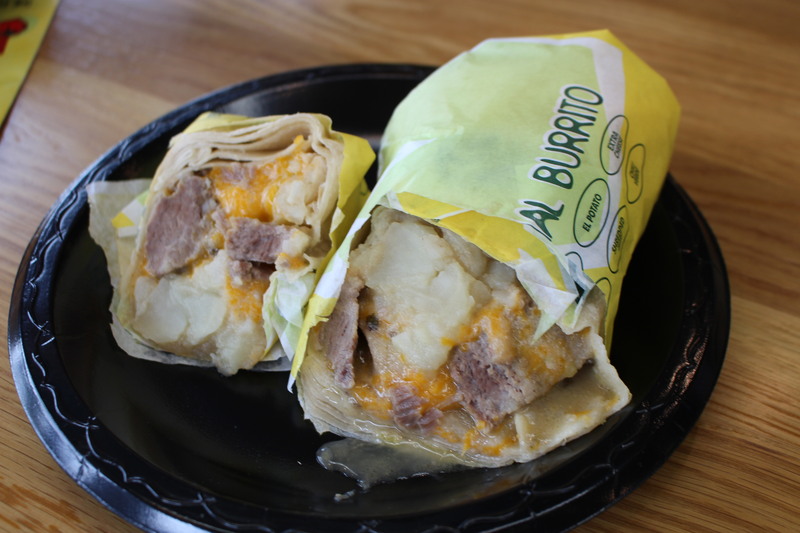 Although I didn’t, it’s highly recommended you add their green chile verde marinated potatoes to this one! And for comparison’s sake their Chile Relleno. 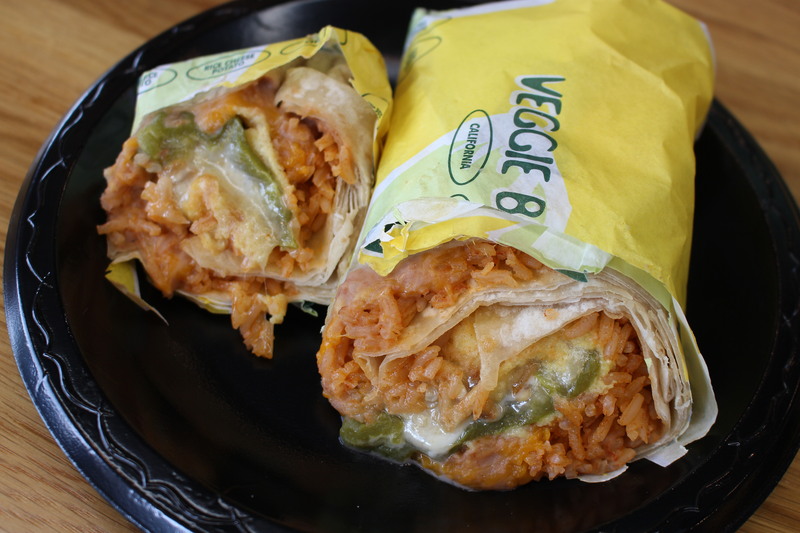 When eating Mexican food it’s nearly impossible for me to not have a Chile Relleno if they’re available and if you’re a Chile Relleno fan, I recommend this as you really get the flavor of the chile here. 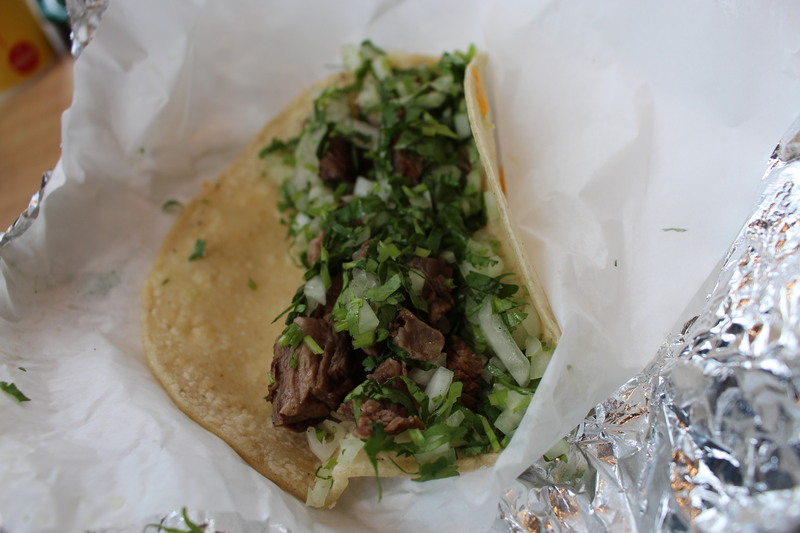 Finally I tried the Carne Asada Taco… simple, clean, and great grilled steak flavor with cilantro and onions on a soft corn tortilla. This was my favorite! 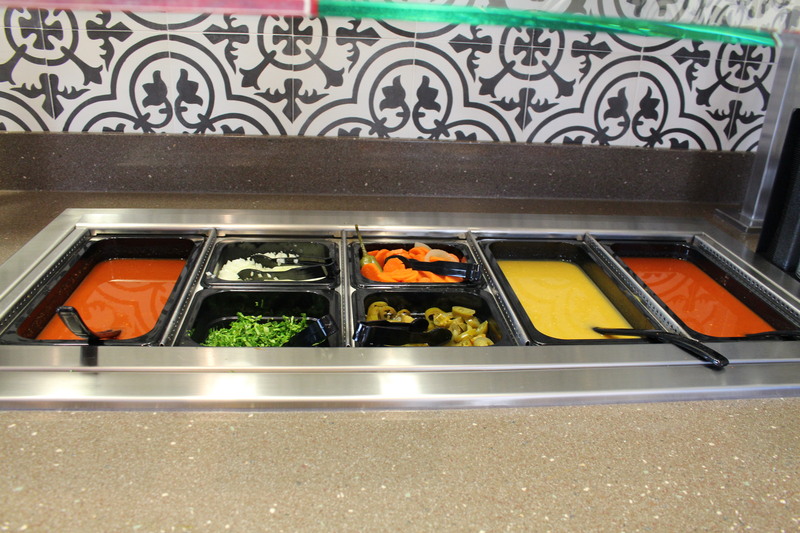 Oh and did I mention, Miguel’s is known for their hot sauce? Yep! It’s good and it’s spicy and to cool it down I recommend ordering a horchata! While I rarely indulge in fast food, I know happy faces and fans when I see them, and this place was full of fans who will be happy to have the convenience of this new Orange County location at Tustin Market Place.